Biostór preserves Tissues, Cells, Plasma. 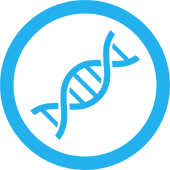 DNA & RNA for clinical trials and for clients who wish to maintain backup copies of their valuable cell lines. Biostór Ireland is a certified Tissue Establishment (TE), defined under EU Directive 2004/23/EC (Irish Law S.I. NO. 158 of 2006) and licensed for the storage and distribution of human tissues and cells for human application throughout the 27 member countries of the EU. The EU Tissues and Cells Directives comply with the requirements of US FDA Good Tissue Practices (GTPs). 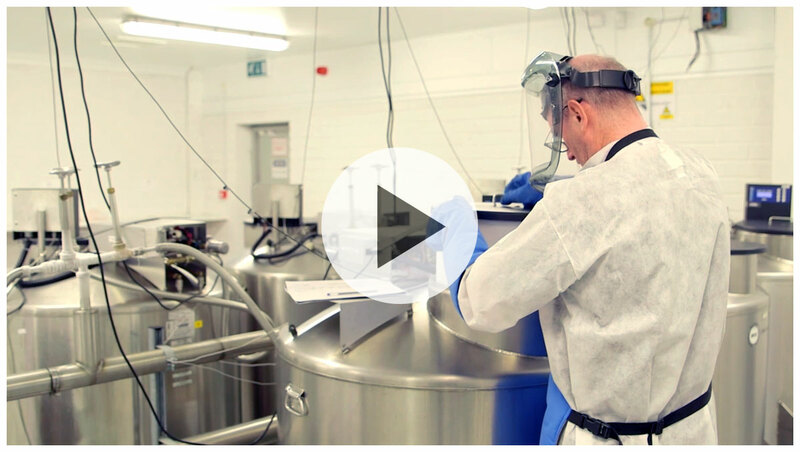 We maintain our cell therapy products and ATMP under precisely controlled conditions. Biostór is authorised by the Irish competent authority (www.HPRA.ie) for the storage activities it undertakes and its procedures and activities are biennially inspected and verified. We are required to keep detailed records of our activities and all documents and records are checked for accuracy and compliance and to ensure traceability. Biostór has a certified quality system (QMS) based on the principles of good practice (GXP) which includes: Standard Operating Procedures (SOPs), Forms, Guidelines, Training Programmes & Records etc. We have a designated Responsible Person and all storage equipment used, the working environment and the work processes we follow are qualified. Long-term storage of cell therapy products are carried out in Liquid Nitrogen (LN2) vapour vessels. Dedicated quarantine vessels are available if required. Incoming materials are physically or administratively quarantined immediately after receipt, until they have been released for use or distribution. All equipment, systems, processes are under Change Control, Variance Control and Corrective Action/Preventative Action (CAPA) as applicable and reviewed and approved by the Responsible Person. All storage equipment used at Biostór Ireland is appropriately identified and suitable for its intended purpose and equipment/systems undergo verification and qualification as per the ASTM E2500 risk-based approach. Following Installation Qualification (IQ) and Operational Qualification (OQ) to verify the equipment/systems are in compliance with the User Requirements (URS). The functioning of storage equipment is under continuous Performance Qualification (PQ) and subject to scheduled cleaning & preventative maintenance. Biostór Ireland stores GMP- Master Cell Bank (MCB & WCB) used in pharmaceutical production and testing and maintains them in validated LN2 Vapour Freezers @ -196°C. We store small cell banks of a few vials and large cell banks containing 1,000’s of vials. Cells and tissues of human origin used as starting materials in the manufacturing of pharmaceutical products must comply with the donation, procurement and testing requirements provided for under Directive 2004/23/EC or Directive 2002/98/EC. The Master Cell Bank (MCB) and Working Cell Bank (WCB) are your most valuable assets. You need to guard them against loss and degradation. Unforeseen events or disasters can quickly obliterate years of hard work and investment and put your research or your business in jeopardy. “Don’t keep all your eggs in one basket”. If you plan future research or business collaborations in the EU then send a part of your cell bank to Biostór Ireland for safe keeping. Biostór provides a GMP-compliant safe deposit service for companies, public and private laboratories, research institutions and individual researchers to store back-up copes of your MCB or WCB in case of emergency. If you are a researcher and you are planning a sabbatical or long-term international assignment don’t leave your valuable biological samples at the mercy of others to look after. Lease a dedicated safe deposit box. Samples are stored in permanently bar-coded sample tubes and boxes, in validated, liquid nitrogen vapour freezers @-196°C under access control. Freezers are monitored 24/7/365 and monthly reports are emailed to you. You can get online access to your inventory for ordering. Our service is completely confidential. Place your biological materials in safekeeping, in the custody of Biostór. Biostór acts as a neutral, third-party custodian to research institutions and companies who want to exchange proprietary biological materials, as part of license agreements or co-development arrangements. We SAFEGUARD your valuable biological materials in escrow and provide you with controlled, access when required. Don’t allow the intellectual property (IP) of your biological assets to be jeopardised by a terminated or disputed licensing agreement. 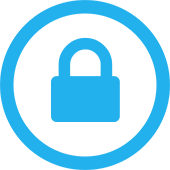 SAFEGUARD will assure that your IP is maintained and available to you when you need it so you can license it to others. We only release your assets following your instruction and only when your specified conditions have been fulfilled. Clinical trials are increasing in number and complexity and there are currently >75,000 active clinical studies underway world-wide. The market is driven by globalisation, personalised medicine, innovations in genomics, the ageing population and the corresponding increase in degenerative diseases like Alzheimer’s & Parkinson’s disease and chronic disease like Cancer. The clinical trials market is expected to expand at a CAGR of > 5.5% from 2017 to 2025 and estimated to be worth more than €50 billion by 2025. With the increasing focus on Cell Therapy and Regenerative Medicine the storage and distribution of clinical trial materials are becoming costlier due to the personalisation of treatments and the distinctive character and specialised storage and distribution requirements for each specific cell therapy product. Biostór are assisting in two ground-breaking clinical studies involving cell therapy treatments: ADIPOA 2 in osteoarthritis and VISICORT in corneal disease and are working to employ innovation and reduce costs in the delivery of these breakthrough therapies between clinical sites and cell expansion laboratories. Biostór ensure product quality, patient safety, data integrity and traceability and certify compliance with all applicable rules for the collection, storage and future use of biological samples. In accordance with the GDPR we employ state-of-the-art encryption safeguards to protect personal data and use 2-D barcodes to pseudonymise the samples to ensure use in future research studies. Biospecimen collection, processing, and preservation are critical elements in reducing variability in clinical trials. The components and usability of a study kit can have a significant impact especially if some of the components have limited expiry dates. Kits should be easy to use, increase collection performance and reduce operator error and protocol deviations. Our kit assembly services standardise every aspect of sample handling to allow physicians and nurses focus on the job at hand. 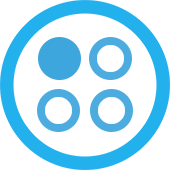 Kits are custom-designed to align to your clinical trial specific workflow. They contain everything the physician of research nurse needs to collect a specimen and administer treatment per Good Clinical Practice (GCP). Share data securely, interact in real-time with collaborators in your own organisation, across Europe or around the globe. Anywhere, anytime your data is available to you from the cloud …always accessible. Determine the real-time status of: sample procurement in each clinical site, samples in transport to and in storage at the central storage repository, samples distributed to analytical laboratories for testing and get the various assurances you need or take corrective action if enrolment targets were falling behind. We use powerful cloud-based tools for efficient patient & sample information management & empowering international scientific collaboration. The quality of the primary sample container strongly impacts the integrity of the biospecimen. Selecting the appropriate sample container is critical to ensure that biospecimens endure transport and long-term storage conditions and remain unchanged. If correctly chosen sample quality is optimised, intra-sample variability minimised and samples are unaltered from the time they are initially procured. 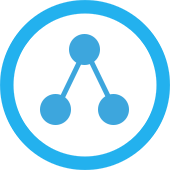 Supports your Disaster Recovery Plan and provide backup in the event of accidental loss. What we need to know from you before we store? Before storing your cell bank Biostór requires you complete a Risk Assessment. Article 13 of the GMO (Contained Use) Regulations, 2001 to 2010. GMO (Contained Use) Regulations 2001 to 2010.